We’ve all been there, aimlessly scrolling through heinously named genres trying to find the perfect movie to fill that moment. In the mood for comedy we scroll past obscure independents and unrecognizable titles from the 70’s and 80’s only to settle on that stand-up special you’ve seen a million times. Here at On The Screen Reviews we would like to extend a helping hand. Now Playing On The Silver Stream is an article series where we do that aimless scrolling for you. At least once a month we will bring you a smattering of streaming films you may just be missing out on. So without further ado, let’s take a look at three such films. Frank is a retired cat burglar. His two children are concerned that their aging father is no longer able to live on his own. Stubborn old Frank is completely opposed to living in a nursing home. Enter the premise of Robot & Frank a feel good sci-fi drama starring Frank Langella as Frank and Peter Sarsgaard as the voice of the robot Frank’s son buys him to help him around the house. Upon delivery of the robot, Frank argues that he needs no help and has no intention of ever using it. As the film progresses and Frank befriends the astronaut like android a story unfolds about the possibilities of new friendship in our golden years. Robot & Frank will leave you feeling optimistic about the future and desperately wanting your own robot. 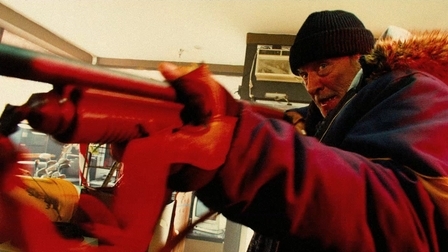 If it is senseless violence you’re looking for, Hobo With a Shotgun delivers in spades. Proof that the B-Movie is not dead, Hobo With a Shotgun is unapologetic in its approach to the loosely explained action genre. A transient fresh of the boxcar finds himself in a corrupt city run by a sadistic gang leader. Though he just wants to be left alone, Hobo is forced to remove the cancer eating away at the city when he is viciously attacked and humiliated by cronies of the gang. Armed with his shotgun and a caring prostitute who takes him in after the attack, Hobo proceeds to mow through the gang members creating a stairway of death and destruction all the way to the top. This poor man’s Quentin Tarantino movie will leave you wanting more. There has been an abundance of end of the world comedies in the last few years. From This Is the End to Seeking a Friend for the End of the World we have seen a wide range of how people would handle their imminent demise. It’s a Disaster is a drawing-room comedy which follows eight friends as they meet for a couples brunch. While at brunch they learn that a dirty bomb has been set off downtown and they are likely living their last day on Earth. Unlike a lot of end of the world movies where there is some adventure story arc, It’s a Disaster rises on the shoulders of its comically narcissistic cast (David Cross, America Farrera, and Julia Stiles to name a few). The fact that they can’t leave the house brings its own comedic elements as they are forced to live with truths that slip or are shamelessly revealed. It’s a Disaster shines a fresh light on an otherwise overworked concept. It will certainly make you wish the drawing-room comedy was more prevalent in today’s films. 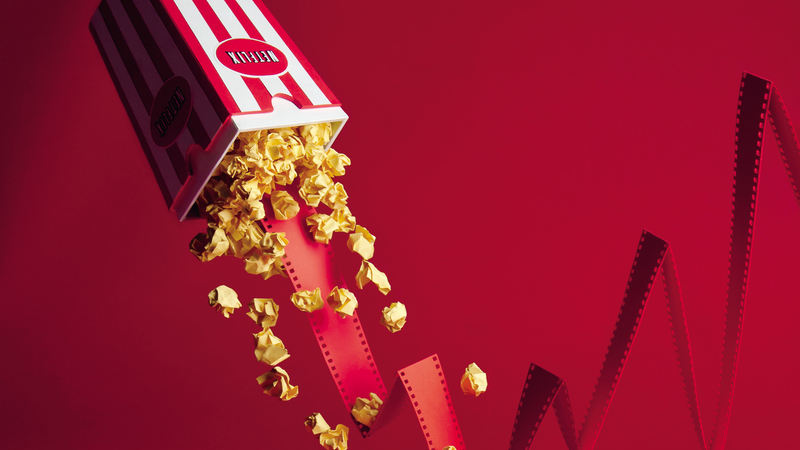 These were just three of the many films you may be passing over on Netflix. We hope you enjoy them and come back again next month to see what else you may be missing. Feel free to submit genre or actor requests in the comments, the next article will be catered to any requests. Robot & Frank and Hobo with a Shotgun were both enjoyable, albeit for entirely different reasons. I haven’t even heard of It’s a Disaster, so thanks for that. Good stuff. With this first attempt at streaming recommendations I tried to include something for every type of moviegoer. Thanks for reading Wendell. Never heard of It’s a Disaster, so might check that one out. I’m glad you found something new in the article Nostra. Thank you for reading. I actually watched Robot & Frank for the first time the weekend you posted about it here. I liked it a lot more than I thought a would. Langella can really do no wrong. And yes, what do I have to do to get my own robot? That thing rocked. As I suspected Robot & Frank is either the least known about or the most palatable of the three. I’m glad you enjoyed it and I agree that Langella is a master. Thanks for reading Alex. I had a lot of fun with It’s a Disaster and was lucky enough to interview the director Todd Berger last fall. I e-mailed him questions on a whim, and he was cool enough to send his answers in an MP3. Very nice guy! It’s a fun movie and a cool take on the disaster genre. Dan, that’s really awesome. I never thought to just go out on a whim and try to score a small QnA. Thanks for the idea and as always thanks for reading.